Emory Saint Joseph's was recognized with overall improvements in several measures. 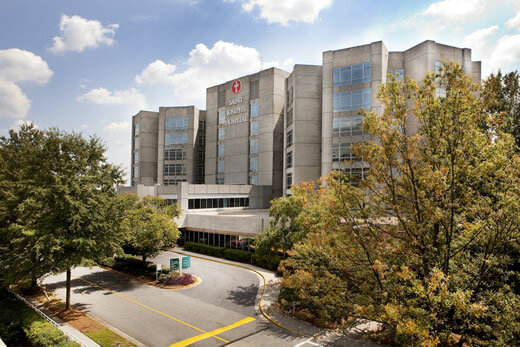 As a participant in the national Partnership for Patients (PfP) initiative of the Centers for Medicare and Medicaid Services (CMS), Emory Saint Joseph's Hospital was recognized for overall improvements in several measures of patient safety and care. Recently, CMS acknowledged the participation of the Georgia Hospital Association (GHA) Hospital Engagement Network, or "HEN," in the in PfP initiative. Emory Saint Joseph's is one of 111 hospitals across the state to participate in the national initiative to improve patient safety. Over the past three years, the GHA HEN's patient safety efforts resulted in the prevention of 20,000 incidents of harm, which translates to an estimated savings of $106 million to $136 million. "Patient-centered care is at the core of everything we do at Emory Saint Joseph's," says Craig McCoy, CEO of Emory Saint Joseph's Hospital. "Some of our overall improvements include a significant decrease in falls, readmissions and infections, and this demonstrates our staff's commitment to consistently improving patient safety at our hospital, which allows us to deliver outstanding patient care." The Partnership for Health and Accountability (PHA), an affiliate of GHA, was established in January 2000 to improve patient care and patient safety in hospitals and other health care facilities and create healthy communities. Nationwide, more than 3,700 hospitals participated in this important initiative to improve patient safety. "The work and dedication of our hospitals throughout this three-year initiative was remarkable," said GHA Chief Medical Officer Dr. Doug Patten. "The HEN hospitals embraced the 'All teach. All learn' approach and adopted collaboration as a strategy. GHA and Georgia hospitals are demonstrating their commitment to improve care for all Georgians."